Putnam students met with their state representatives in Albany last week, shown here with Assemblyman Kevin Byrne. 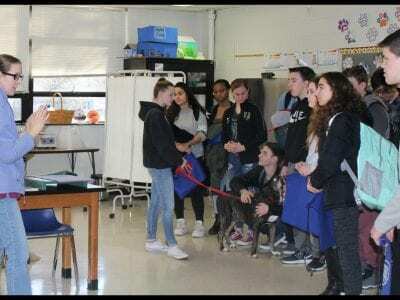 Photos By Janeen CunninghamMembers of the Putnam County Youth Bureau traveled to Albany last week and attended the state’s annual Youth… Please login below or purchase a subscription to the Putnam County Courier to access this content. 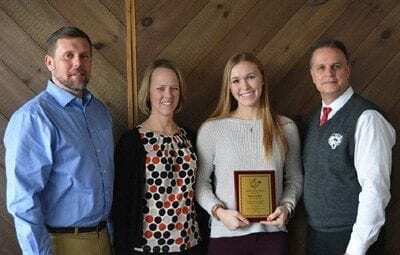 Gabrielle Bohrman, a resident of Stormville, was among 212 students from Genesee Community College, including all seven campus locations in Batavia, Albion, Arcade, Dansville, Lima, Medina and Warsaw, who were named to the Provost’s List for the Spri… Please login below or purchase a subscription to the Putnam County Courier to access this content. Joseph Nikisher is congratulated by Mahopac Supt. of Schools Anthony DiCarlo as his dad, Chief Bill Nikisher looks on. Photo By Eric GrossJoseph Nikisher doesn’t consider himself a hero. 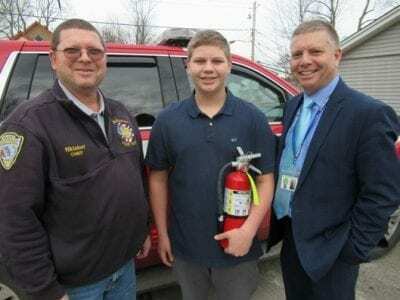 The 15-year-old Mahopac High School sophomore was congratulated… Please login below or purchase a subscription to the Putnam County Courier to access this content. Brewster’s Director of Athletics Dean Berardo (right) congratulates Meagan Beal and her parents Cyndi and Adam Beal at the awards ceremony. Photo By Jennifer GaryBrewster High School senior Meagan Beal, one of the region’s finest lacrosse players who… Please login below or purchase a subscription to the Putnam County Courier to access this content. CAREERS employment specialists work one-on-one with On Course for College participants to make sure each student has the skills and resources they need for a successful college career. Staff will continue to work with students during and after gradua… Please login below or purchase a subscription to the Putnam County Courier to access this content. 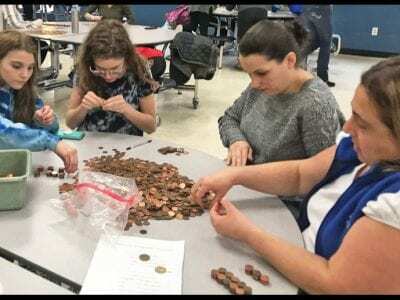 Hundreds of faculty and staff in the Mahopac School District attended a Superintendent’s Conference Day program last week dealing with the cultivation of a supportive environment for students. The day long activity consisted of two panel discussions … Please login below or purchase a subscription to the Putnam County Courier to access this content. 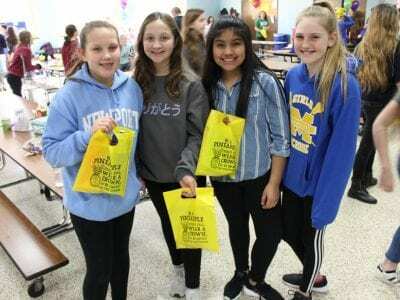 Photo By Laura Lee Holmbo Mahopac Middle School’s Carnival of Health was held in memory of a beloved teacher who lost her battle with cancer last year.Mahopac Middle School’s annual Carnival of Health recalled a loving faculty member last week who lo… Please login below or purchase a subscription to the Putnam County Courier to access this content.